STANLEY population 500, is a totally restored Bass Strait fishing village with tiny, brightly-painted cottages neatly terraced on the lower slopes of an extinct volcano known as The Nut. Stanley's fairytale village nestles impressively close to The Nut on an isthmus that creates a half-kilometre arc of clean and sandy ocean beach on one side and a huge sheltered bay to landward that in turn contains the small fishing harbour. Take the chairlift, or hike, to the top of The Nut and you will be rewarded with sensational views. Built from 1832 to 1835 for the chief agent of the Van Diemen's Land Company, this historic house has been restored and is a rare example of domestic architecture from the Regency period. The Van Diemen’s Land Company played a key role in the European settlement of Tasmania’s North West. Open daily 9:30am - 4:30pm 7 days a week (December - May). The Brown Dog's gifts have been hand selected with you in mind and there is something for every home and for every style. Candles to burn day or night, glasswares, ceramics, cushions, baskets and the most gorgeous books sourced from overseas. Designer jewelry, furniture, tableware and toiletries. Offers 15 minute, 30 minute and 1.5 hour helicopter flights over the North West Coast and the Tarkine. Flights are dependent on weather. Advance bookings essential. Operates daily (November - April). Bass Highway and Main Road, Stanley. Personalised 75-minute cruises from Stanley to Bull Rock, home to a population of over 500 Australian fur seals, the fourth-rarest seal species in the world. Cruise departs daily at 10am (May, June & September). Twice daily at 10am and 3pm (1st October - 30th April). Closed July, August and Christmas Day. (Restored C19th Cottage) - Restored nineteenth century settler’s cottage in which Tasmania’s only Prime Minister, Joe Lyons was born in 1879. Antiques, historical photographs, family trees are on display. An exhibition that will take you on a journey into Stanley's past, with relic antiques, memorabilia, photographs, documents and a geneology centre from 1804 to the 1900's. Open daily from Sept - May, Closed June to August. Guided tours of Woolnorth - Cape Grim. The 22,000 hectare property, Woolnorth, covers the north west tip of Tasmania. A rare chance to see spectacular scenery, take coastal walks around the most northern tip of the island. Honey production has been in the Charles family since 1955. This local company specialises in award winning Leatherwood honey, along with Blackberry, Meadow and Wildflower honeys. Retail sales available in selected stores in Stanley. Since the first internment in 1827 until the last in 1997, Stanley’s old cemetery has been the final resting place of Circular Head’s European settlers and their descendents. Located overlooking Bass Strait the burial ground’s directory lists the names of over 700 people interned, more details of which are available on request at the Stanley Visitor Information Centre. 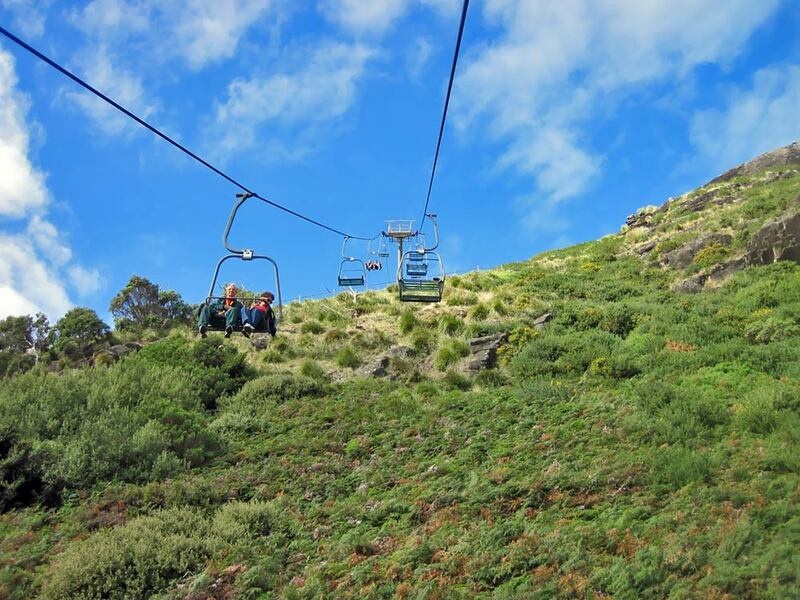 The Nut, rising 152 metres from the sea, dominates the village of Stanley and the chairlift can take you to the top for a seagull’s view of the historic town and the east and west along the coast. The chairlift trip takes about five minutes to the summit and you can enjoy an hour-long walk around the Nut. Open daily 9.30am - 5.30pm (December - April). Daily 9.30am - 4.30pm (May - mid July). Closed June, July, August, Christmas Day, Boxing Day and Easter Good Friday. Specialty store showcasing Tasmanian produce including King Island cheeses, chocolates, fudge, olive oil, olives, mustards, preserves, honey, seafood and Tasmanian wines and boutique beers. Hampers made to order. Open daily 9.30am - 5.30pm (September - April). 10am - 5pm Saturday to Wednesday (May - August). Closed Christmas Day and Easter Sunday.